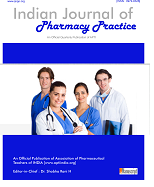 It is our policy that once registered for Association of Pharmaceutical Teachers of India, the transaction is final, and the registrant will not be allowed to ask for the refund of the price of the registration that has been charged to them. It is again reiterated that No REFUNDS ARE GIVEN OF ANY CASH OR KIND for any reason whatsoever and all transactions are final. No refund will be given of the Price, even if the registrant is not able to attend the event for any reason whatsoever and returns/transfer the registration to us. This no refund policy is hereby communicated to Customers to prevent misunderstanding and disputes.